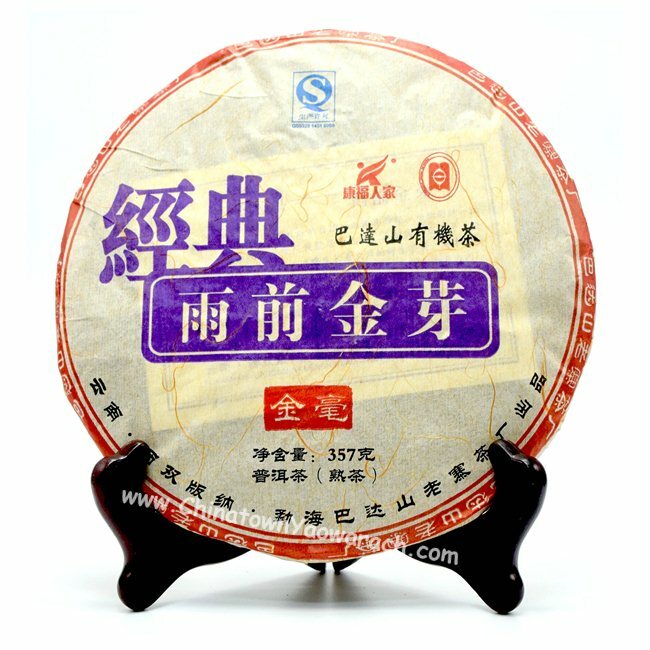 Yu Qian Jin Ya Cake is produced by Laozhai Tea Factory in Bada Mountain, Xishuangbanna, an autonomous prefecture in Yunnnan. It’s an organic ripe tea grown in Bada mountain. The leaves are in tight twist shape with slight white hair. This tea is dark red with pure and very smooth taste. Age: 3 years.